Christmas is this Sunday. Therefore, this is the last edition of SuperPhillip Central's Favorite VGMs before that special day of family-bonding, gift-giving, and celebrating the birth of Jack Lord or something to that effect. Some kind of lord. Anyway, this week we have lined up five winter-esque themes featuring some of most popular characters in gaming: Mario, Sonic, Donkey Kong, Mega Man, and Kirby! Starting off is a song from the Sega Genesis version of Sonic 3D Blast. We then dip our toes into chilly waters with a theme from Mario Party 3. Next up, Donkey Kong Country 2: Diddy's Kong Quest shows us why it's one of my favorite game soundtracks of all time. Mega Man 7 follows, and then Kirby Air Ride ends the festivities for now. Click on the VGM volume name to hear each song. As always, the VGM Database houses every VGM volume ever recorded in this weekly segment on SuperPhillip Central. Now, let's get on to the music! 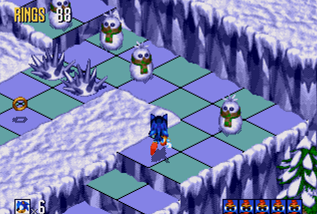 Although the Sega Saturn and PC version of Diamond Dust Zone Act 1 in Sonic 3D Blast sounds much more Christmas-y, it was already represented in a previous edition of SuperPhillip Central's Favorite VGMs. That said, the Genesis rendition is more well-known. It was also featured in remix form in Mario & Sonic at the Sochi 2014 Olympic Games for the Wii U. Chilly Waters is the very first board in Mario Party 3, the third and final installment of the Mario Party series on the Nintendo 64. It features penguins, snowmen, and a frozen lake smack dab in the middle of the entire board. The song is one you can sway to the left and right to as you listen to its jolly, party-like sound. 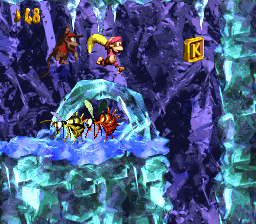 The irony of the song title "In A Snow-Bound Land" is that all of the levels that this song is featured in from Donkey Kong Country 2, my favorite in the DKC trilogy (as cliche a choice as that is), are set in icy caverns rather than snowy wonderlands (i.e. snow-bound lands). Still, it's a perfectly chill and ambient track like many others from Dave Wise's godly DKC 2 soundtrack. There is a wide range of ice-themed Robot Masters, all starting with the OG, Ice Man from the original Mega Man. 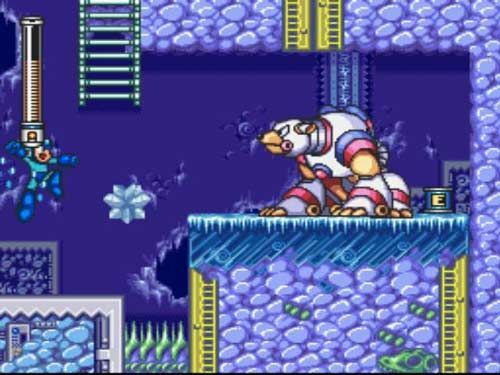 In Mega Man 7, Freeze Man takes on the role of the ice-themed Robot Master with his frosty stage set in the arctic tundra. He's the Robot Master recommended to take on first, if memory serves correctly. Even if it doesn't serve correctly, Freeze Man is pretty easy to take out with just the Mega Buster regardless. Slip, slide, and ride in this icy track in Kirby Air Ride, a cult classic from the Nintendo GameCube. 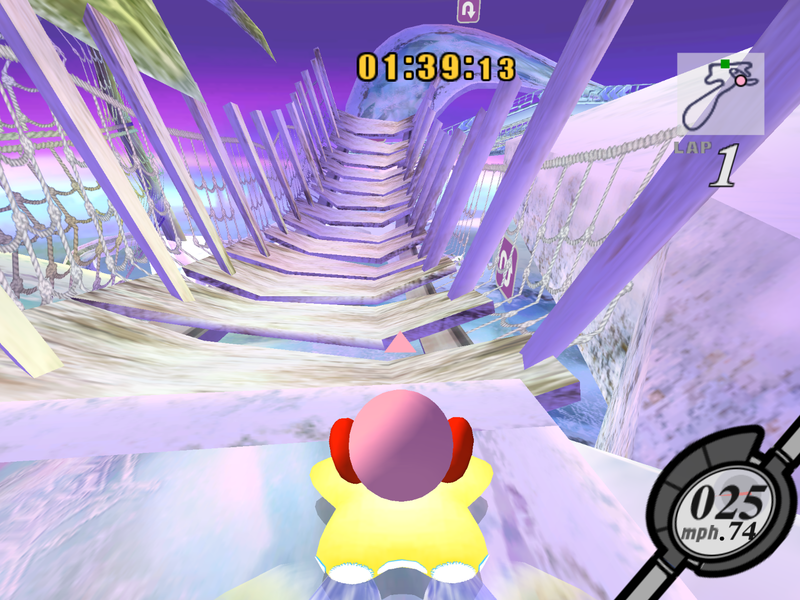 If you're looking for an atypical racer with a sensational soundtrack, Kirby Air Ride is definitely a game you should look into, given you can stomach the secondhand market price for the game. Frozen Hillside exudes freezing cold temps as you breeze through this winter themed course.